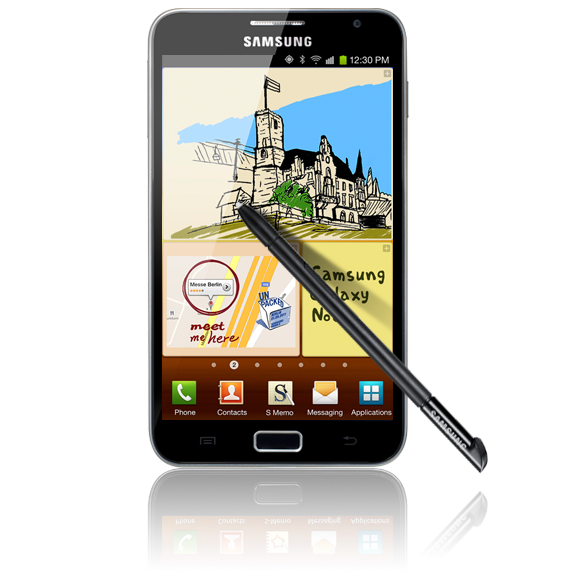 Would I Buy A Phablet? One of the more unique smartphone designs in the market are ones that sport a 5.3″ to 6.1″ screen and are called Phablets by some in the industry. We call them tweeners as they are a cross between a large smartphone and a small tablet but in a single package. Samsung popularized this form factor with its 5.3″ Galaxy Note that was released last winter and they sold about 10 million in 2012. 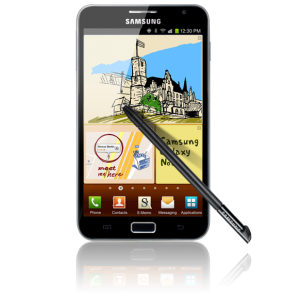 Some analysts believe that Samsung is on track to sell around 20 million Galaxy Note 2’s in 2013. Up to now, the market for these Phablet’s has mainly been in Korea and other parts of Asia and while available in the US, the market for it over here is quite small compared to its demand in Asia. At CES, Huawei upped the ante in phablets with the introduction of their Ascend Phablet that sports a 6.1 inch screen, the largest screen used in products in this category. It seems that Huawei is trotting this out to see what the market response will be to it and once they determine if a smartphone this large might fit in the market. Depending on the market response, they could either back it big time or adjust the screen size downward if the sweet spot for Phablets is with screens more in the 5.3″ to 5.7′ range. Like Samsung, Huawei believes there is a market for Phablets and seems committed to building smartphones in this larger size going forward. To date, most smartphones have screens under 5 inches and we don’t see that changing anytime soon. Smartphones with smaller screen sizes will have the lions share of the market for many years to come. What is interesting to me is that when I actually held Huawei’s 6.1 inch smartphone in my hand at the Huawei booth at CES, I could actually see myself using it, but not as Huawei might expect. To me this was a small tablet that just happened to have a cell phone radio in it. I would never hold this up to my ear as a phone and if I had one, I would only use it with a Bluetooth headset (this is how I primarily use the iPhone now, paired with a BT headset). Since getting the iPad Mini, with its 7.9″ screen, it has become my go to tablet. While I still use my original iPad, it is with a Bluetooth keyboard and I use it more as a mini-laptop in this configuration. What I have learned though is that the iPad mini, or a smaller tablet, is ideal for content consumption but not as ideal for content creation or productivity. While I do appreciate the 7.9″ screen in my iPad Mini, I was just as comfortable with Huawei’s 6.1 Ascend if I used it mainly as a small tablet. There are two market dynamics emerging that could actually make these phablets important products in various markets. The first one is emerging markets. We in the west would be fooling ourselves if we think that masses of people in emerging markets could afford both a smartphone and a tablet. Even with grey market tablets going for cheap prices, the issue of carrying two devices with them all of the time is just not reasonable. Apparently, Samsung saw this trend early on and has taken aim at the emerging market with their phablets, hoping that the desire for a single device that serves as a smartphone and tablet resonates with them. Indeed, the reason for a forecast of 20 million Galaxy’s Note II’s in 2013 is that most of them will start finding their way into emerging markets and filling a real need, especially if Samsung gets the prices of this product into price ranges acceptable to this market. In these markets, one is better than two. The second market developing has broader implications for us in the west. If you sit back and try and visualize our digital future, it is pretty easy to see that most of us will have many screens in our digital lifestyles. We will have a screen in our smartphone, tablets, PC’s, TV’s, Car, appliances, etc. If they are all connected to our digital stuff in the cloud, then the screen that is closest to us at our time of need is the one we will most likely use. In most cases, the closest screen is our smartphones. However, when desiring to access our digital “stuff” or the Web, many of us who have tablets often to go to our tablets for one major reason, it has a bigger screen and is easier to use especially when surfing the Web or reading docs and email and getting other forms of content. However, this implies that we now carry with us two devices at the very least, a smarpthone and a tablet. What if we could get both in a single device that is highly portable? It that were the case, perhaps a smartphone even with a 5.3-inch screen would be too small; but one with perhaps a very pocketable one at 6.1″ might be just right. I was easily able to put the Ascend 6.1 in my back pocket as I do now with any spare smartphone I happen to be testing at any given time. One other thing we are learning from our research is that one size does not fit all. Based on individuals needs, they may actually need a larger screen on their smartphone because they would be easier to read due to age, eyesight problems, individual choice, etc. As a small tablet, this larger screen size also works well for the same reasons, along with its ultraportablity. We believe it will start to be pretty clear to all device makers that one size does not fit all and that they may need a range of screen sizes in the smartphone and tablets to meet new user demands in the next 12-18 months. If both of these market trends play out as I suggest here, and the concept of a two-in-one device catches on in emerging markets and demands increase in mature markets, all smartphone vendors may have to seriously consider doing phablets of their own. As strange as this may seem to us western thinkers, there is a real possibility that a market for phablets could actually emerge and become quite important in multiple markets around the world. Yet if we take a step back and look at the vast array of sizes and forms of our current automobile market, then we understand the role personal preference and they need to have a lineup of products to cover a wide range of uses. So in fact vast variance in smartphones and tablets actually makes sense due to mature market characteristics.